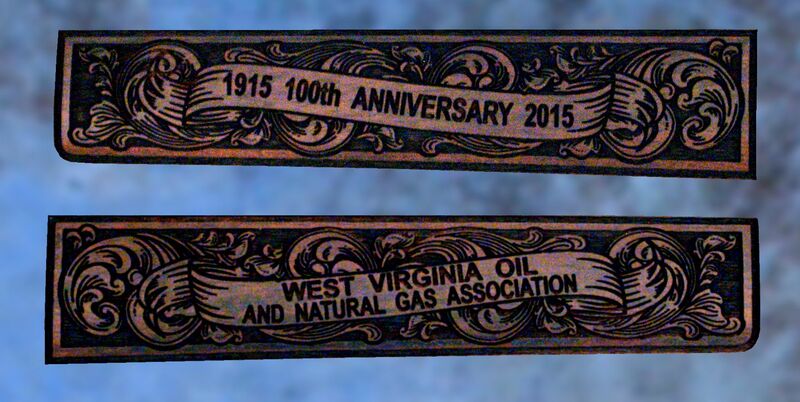 West Virginia Oil & Natural Gas Association 100th Anniversary Special Edition - Wellington LTD. 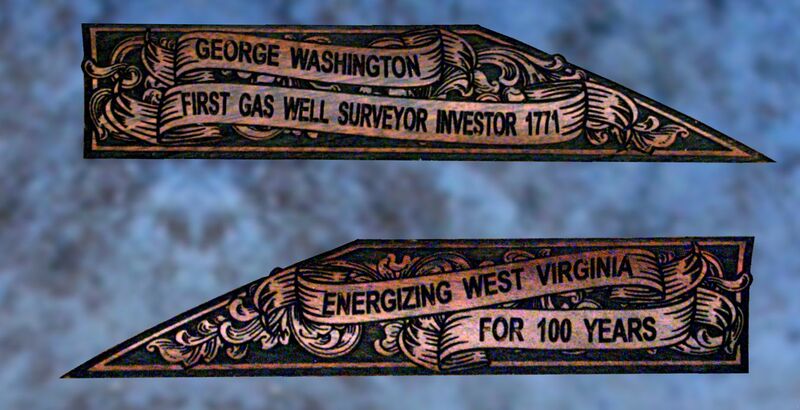 Since 1915 the West Virginia Oil & Natural Gas Association has been on the forefront of serving, advocating for, and providing information about the energy industry in West Virginia. 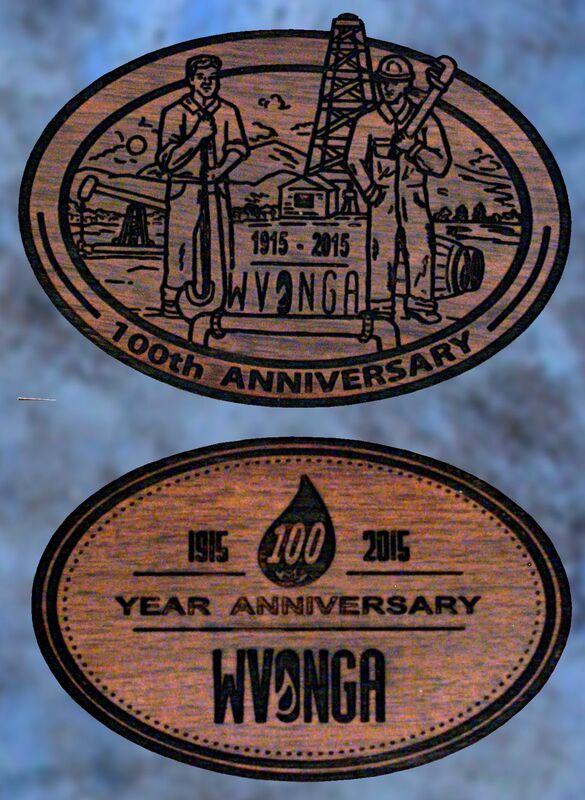 In honor of this, Wellington LTD, in cooperation with the West Virginia Oil & Natural Gas Association, is proud to introduce the West Virginia Oil & Natural Gas Association 100th Anniversary Special Edition. Built on a Collector’s Grade Henry .30-30 this edition features images taken from the Association’s 100 years in West Virginia! Each West Virginia Oil & Natural Gas Association 100th Anniversary Special Edition is numbered and comes with a certificate of authenticity. 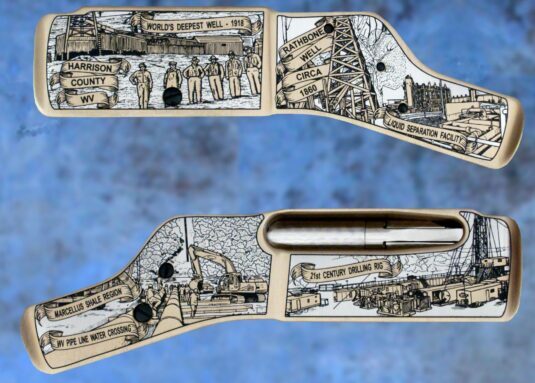 Only 100 will ever be produced and once they are all sold out the series will be closed! Reservations are accepted in the order in which they are received! Hard-sided canvas presentation cases are available! To place your order or to find more information, please e-mail us or call (970) 215-0677. Don’t forget to inquire about our interest-free easy payment plans! Visa and MasterCard are welcome! From the Landing at Belle Point, the building of the Fort Smith Garrison, The Trail of Tears, and the Butterfield Overland Stagecoach – these are some of the events that helped shape Fort Smith and Arkansas history – now captured in 24 karat antique gold and jeweler’s grade nickel!In honor of Fort Smith’s 200th Anniversary, Wellington LTD, in collaboration with renowned artist Michael Haynes (www.mhaynesart.com) is proud to present this family heirloom as a tribute to the people and history of Fort Smith. Built on a Henry .44 cal. lever action rifle, this is piece of art for the collector and history enthusiast! The nation’s oldest federal law enforcement agency, for 225 years the United States Marshals have fought to bring the rule of law to an ever growing country. The first appointed Marshals, people like Isaac Huger – South Carolina, Edward Carrington – Virginia, Allan McLane – Delaware, Nathanial Ramsay – Maryland, Jonathan Jackson – Massachusetts, Clement Biddle – Pennsylvania, William Smith – New York, Robert Forsyth – Georgia, Thomas Lowry – New Jersey, John Parker – New Hampshire, John Skinner – North Carolina, Phillip Bradley – Connecticut, and William Peck – Rhode Island were trailblazers writing the first paragraphs of a story that continues to this day.In honor of this heroic legacy, and in cooperation with the U.S. Marshals Association, Wellington LTD is proud to honor this proud history by introducing the United States Marshals 225th Anniversary Gold Special Edition!Built on a Henry .45LC cal. carbine, the brass receiver and wood on this edition are richly engraved in jewelry grade nickel with scenes taken directly from the U.S. Marshals historic past. Images pay tribute to, among others, Virgil Earp, Deputy U.S. Marshal, Tombstone, Arizona, 1879 – 1881, Deputy U.S. Marshals Tilghman, Madsen, & Thomas, the famed ‘Three Guardsmen Of Oklahoma’, the U.S. Marshals role during the Civil Rights Era, going so far as to protect young Ruby Bridges as she went to school during these challenging times. Other images speak to the service’s growing roles in modern times and the response during the September 11th attacks. These images show clearly how Marshals have lived to their motto, “Justice, Integrity, Service” or as some like to say it “Put On Badge – Do The Job”.